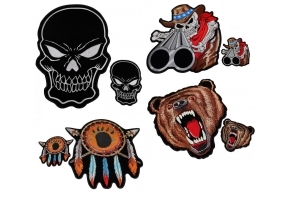 This combo pack comes with the small version front patch and the large version back patch for your riding jacket or vest. 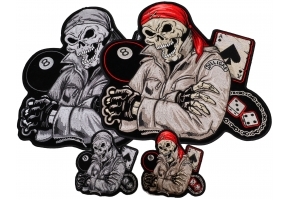 Comments This combo pack comes with the small version front patch and the large version back patch for your riding jacket or vest. 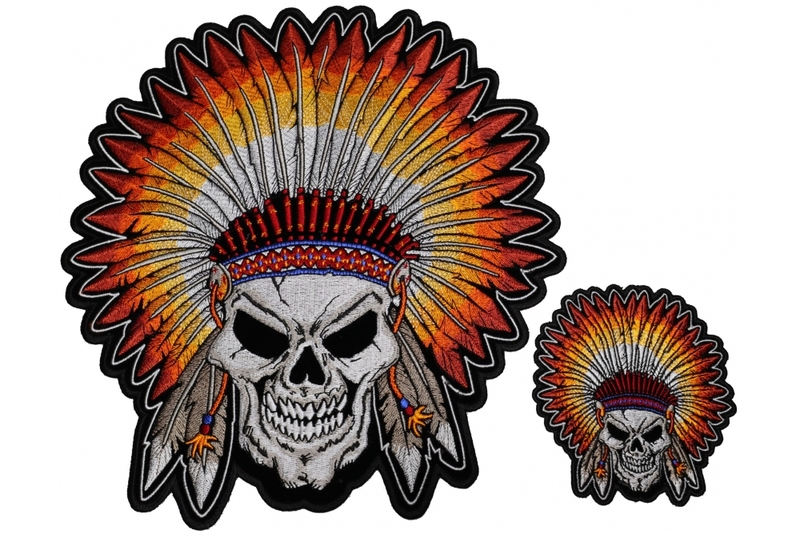 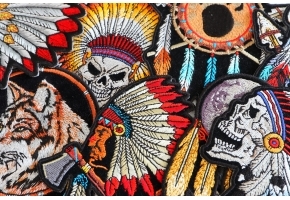 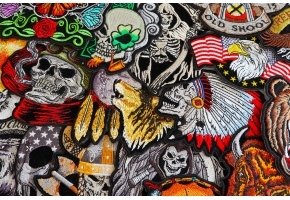 1 x Skull Indian Head Dress Large Back Patch measuring 10x11 inch.